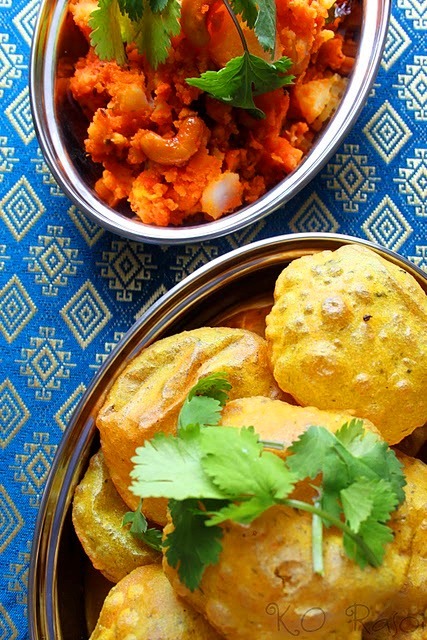 There is something about hot, sweet and sour potatoes, ghee and cashew nuts scooped up with flakey, wafer thin, hot poori breads that moves me to the realm of culinary epiphany. Yes, I certainly have lived in Gujarat in a previous life. I dare you to click here and not get a raging appetite, even if you’ve just eaten. I can’t stay away from fellow food-blogger Sanjana’s website. I’m going to cook this one very soon.